Opt for effortless elegance with the Kaleidoscope Bardot Print Dress, designed to have you looking red-carpet ready with its fit and flare cut and elegant print. This piece is crafted from a blend of quality fibres, with a comfy stretch lining and the perfect amount of stretch to ensure ease of wear without sacrificing structure. 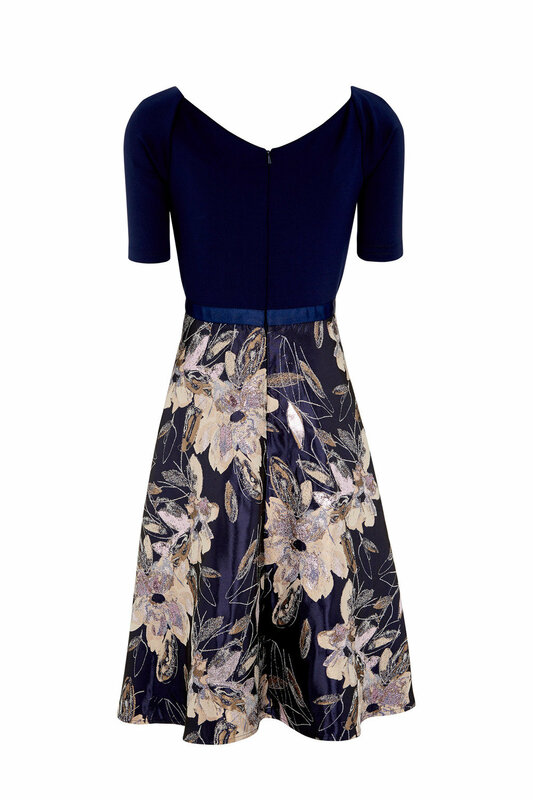 Wear this striking evening dress with subtle jewellery, pointed heels and a gold clutch.